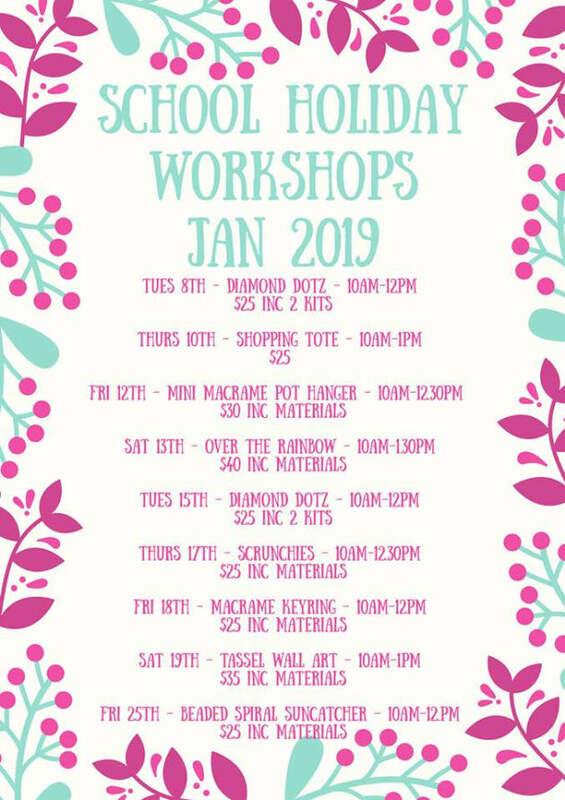 Bring the kids into Hobbysew Figtree these January school holidays for creative and fun workshops. If you have a child who loves to create, they will love the variety of workshops available including Beaded Suncatcher, Hair Accessories, Macrame Keyrings, Over the Rainbow Wallhanging, Terrific Tassel Wall Art plus so much more! View list of workshops available. Most workshops would suit 7yrs and above. Visit hobbysew.com or call 4229 8188 or pop into the store! Follow Hobbysew Figtree on Facebook.